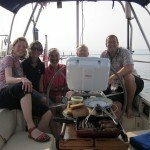 We arrived in La Coruna this morning and received a fabulous welcome from Swallow! 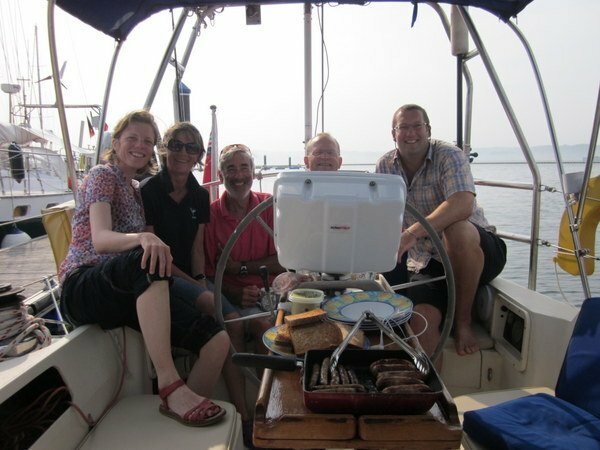 Sausages for breakfast with steaming coffee – what a great way for the boats from Portishead to catch up. 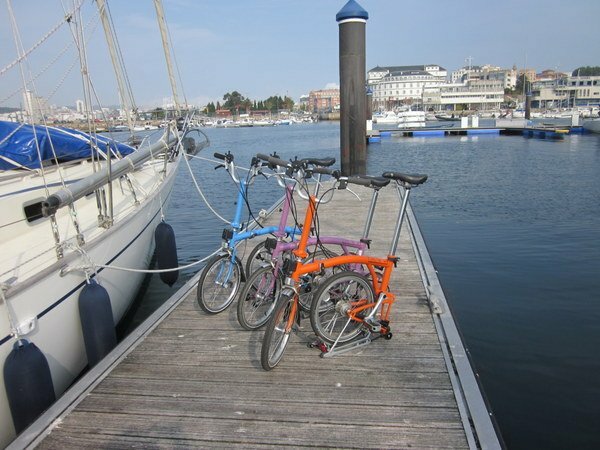 I had to include the Brompton Rally Bikes! 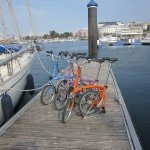 Hecla and Ocean Rainbow were two pontoons away from Swallow so we took to our bikes to go and see them – why walk if you can bike?